The nights have suddenly turned chilly, and lots of our customers are getting their duvets ready for some serious snuggling over the course of the winter months! Over time, duvets collect large amounts of bed bugs, dust mites and dead skin cells, which can cause allergic reactions and respiratory problems, so now is the ideal time to get it laundered by LR. To help keep you nice and toasty, we’re offering £5 off duvet cleaning until the end of September. 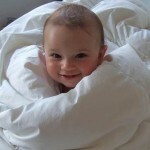 Simply use the voucher code DUVET5OFF when you place your order at LaundryRepublic.com.